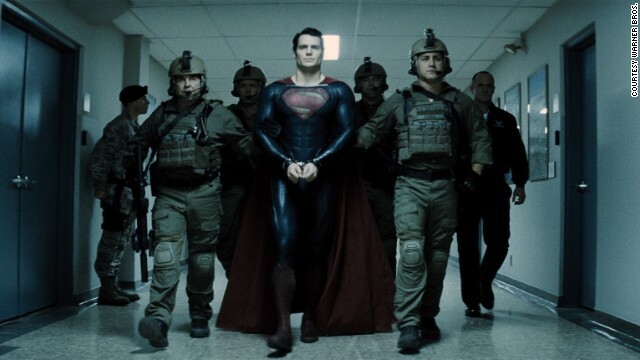 Henry Cavill stars as Superman in "Man of Steel." Get ready to meet his ancestors on "Krypton." (CNN) -- Before there was a "Man of Steel," there was the story of his ancestors and his home planet. Syfy is developing "Krypton," a prequel origin series that will tell the story of Superman's grandfather. According to The Hollywood Reporter, the drama will focus on his grandfather's fight to bring equality to the planet. The network is said to be working with David S. Goyer, the scribe behind the "Man of Steel" film as well as Christopher Nolan's Dark Knight trilogy. The news was met with mixed reaction on the Web. "A prequel. From the writer of MAN OF STEEL. On Syfy. Wow. #Krypton manages all three strikes with just its announcement," tweeted one fan, while another noted, "Rather than do a full series, SyFy should do a TV movie or miniseries version of #Krypton first. Then see if it's worth doing more stories." A prequel. From the writer of MAN OF STEEL. On Syfy. Wow. #Krypton manages all three strikes with just its announcement. Rather than do a full series, SyFy should do a TV movie or miniseries version of #Krypton first. Then see if it's worth doing more stories. Though fans may be skeptical, The Hollywood Reporter points out that Goyer, who conceived the "Krypton" story with "Once Upon a Time's" Ian Goldberg, is force behind plenty of projects fanboys and girls are familiar with. "For Goyer, 'Krypton' will mark his third series on the air joining 'Constantine' and Starz's 'Da Vinci's Demons,' " the publication notes. "The longtime comics fan counts scores of fanboy favorites among his credits, including 'The Dark Knight' trilogy and the upcoming 'Batman v. Superman: Dawn of Justice.' "
Warner Horizon Television and DC Comics are working together on the project.